Bron Alderton delves into the minds of the conspiracy theories around chemtrails. And debunks them. 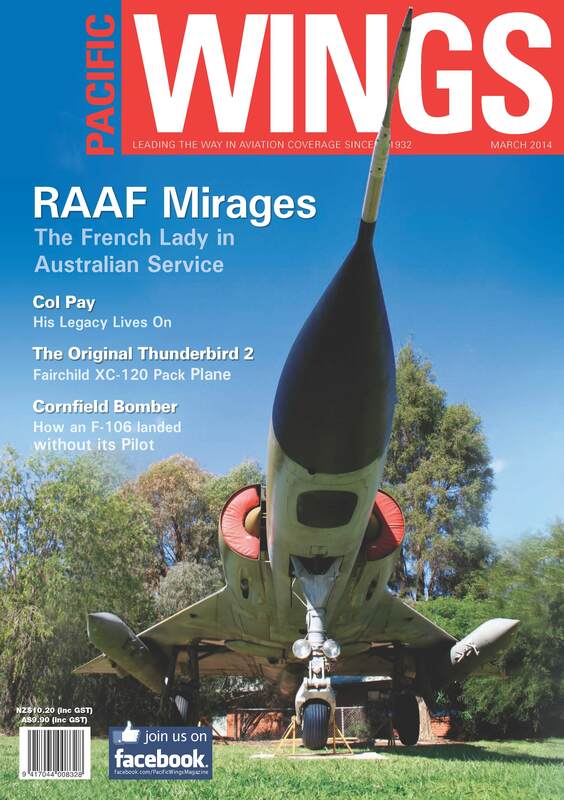 A trip down memory lane with the story of the Australian Mirage III in service. An unbelievable account of how an uncontrolled F-106 managed to land without its pilot. Years ahead of its time, the Packplane failed to become a success but inspired a famous future concept. John Parker visits Scone to report on Ross Pay's vision of Pay's Warbird Collection. Air Aces: Edward de Joux. Paul Sortehaug continues his series with a report on Flying Officer Edward Ernest de Joux. As you look up Anzac Parade in Canberra towards the War Memorial, looking away from Parliament House, which marks one of the three points of the Parliamentary Triangle, you may miss the little church tucked away to the left. This is the church of St John the Baptist and it has stood in this location since 1841. Old churches are so full of history. Walking through the gravestones of this one, you find, tucked away in the midst of the pioneers of the area, a unique grave, that of Flying Officer Francis Charles Ewen.